Dr. Mixon grew up in nearby Albany, GA. 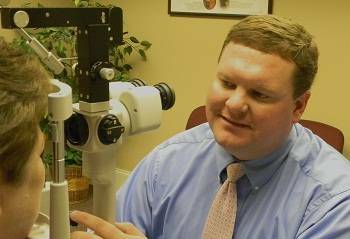 He came to the Americus area in 2005 to join the eye care practice. He has been happily married to Ashley since 2001 and they have 1 daughter and 1 son. Dr. Mixon is an active member of First Baptist Church where he teaches Sunday School and plays softball. Away from work, Dr. Mixon enjoys hunting and fishing; but most of all, spending time with his family.